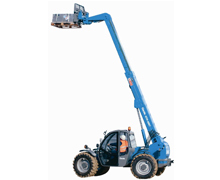 Genie high reach telehandlers offer excellent lift capacity, easily covering all your worksite needs. Available in two models, these telehandlers offer excellent productivity on jobsites ranging from new construction of multi-story buildings to masonry. 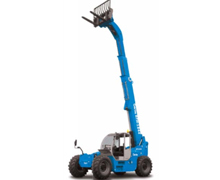 Genie offers a wide selection of telehandler attachments for improved efficiency and added job flexibility. 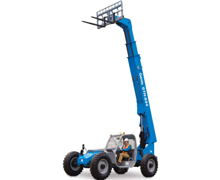 With the addition of Genie approved third party attachments, a single machine can handle even more tasks.